The games will take place next weekend in two double-headers at Croke Park. THE DRAW HAS been made this evening for the 2013 All-Ireland senior football quarter-finals and it has thrown up four mouth-watering clashes. After ruling supreme in Leinster once more this year, Dublin will take on Cork. While Monaghan, who ended a 25-year wait for Ulster football glory last Sunday, must now prepare to play Tyrone. Munster champions Kerry will be up against Cavan. Finally Mayo, who clinched a third consecutive Connacht senior football title last week, are paired with Donegal. 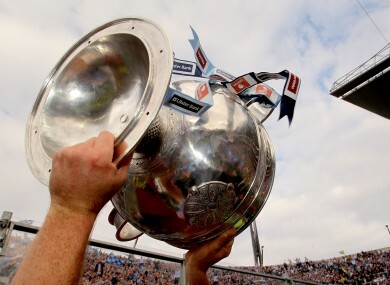 The games will take place in two double-headers at Croke Park next weekend as the 2013 football season kicks into gear on the August Bank Holiday weekend. Monaghan v Tyrone: August 3, 5pm, Croke Park. Dublin v Cork : August 3, 7pm, Croke Park. Kerry v Cavan: August 4, 2pm, Croke Park. Mayo v Donegal: August 4, 4pm Croke Park. Email “Dublin to face Cork after All-Ireland senior football quarter-final draw”. Feedback on “Dublin to face Cork after All-Ireland senior football quarter-final draw”.